Stock splits are reflected in the share price. 2. 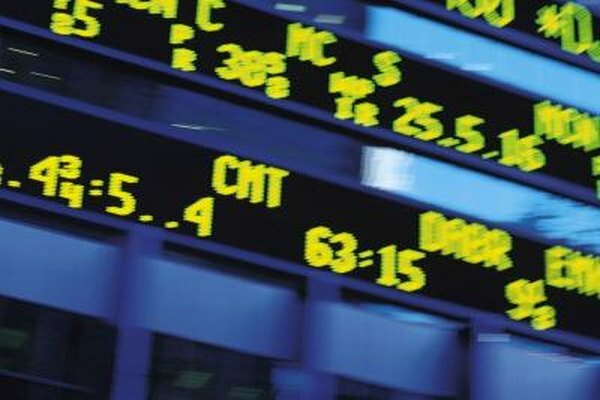 What Happens to the Share Price When New Shares Are Issued? 3. What Is a Forward Stock Split? A stock split or stock dividend from one of the stocks you own will put additional shares into your brokerage account, but even with the additional shares, you may not see any change in the value of your investments. A company declares a split or stock dividend as a way to show value without providing any current value. In the longer term, the action may pay off as a better investment return, but in the short-term, these corporate actions are not a big benefit for the value of your portfolio. A stock split increases the number of company shares in the hands of investors. Splits are declared as a ratio, such as 2 for 1 or 3 for 2. On the effective date of the split, investors will have a larger number of shares based on the split ratio. For example, an investor with 100 shares will have 150 shares after a 3-for-2 split. At the same time that the number of shares increases, the share price will drop to keep the investment value level. One hundred shares of a $30 stock become 150 shares of a $20 stock. Companies use stock splits to lower the share price to a level where management believes the shares will be more attractive to investors. A company declares a stock dividend in the same manner as for cash dividends. Stock dividends are usually expressed as a percentage. For example, if a company declares a 5-percent stock dividend, investors will receive one additional share for every 20 shares they own. The company "issues" the new shares on the record date. In reality, the effect is just bookkeeping, adding additional shares to every investor's brokerage account. Stock dividends can be declared in addition to cash dividends or to replace the cash payouts. With either a stock split or stock dividend, the share price adjusts on the effective date to keep an investor's position in the stock at the same value. Receiving more shares does not result in a value increase. The investor just has more shares with a relatively lower price. An investor who was not aware of the pending split or stock dividend may initially have a negative surprise when the share price drops significantly from the previous day's value. A check of the investor's brokerage account will show that the price drop was offset by an increased number of shares. Companies that declare stock splits or stock dividends typically do so because corporate management believe the company is doing well and share values will go higher. Companies with histories of long-term growth often end up declaring numerous splits or stock dividends. For example, an investor who bought 10 shares of Walmart when the company went public in 1969 and held all shares now owns 20,480 shares. A single stock spit or dividend does not mean much, but a history of such actions shows a company building value for investors.